Freedom and comfort converge on an RV road trip. You have the ability to turn down the next road you see, ending up in small town America or a breathtaking national park, without having to wait for your boarding time at an airport. 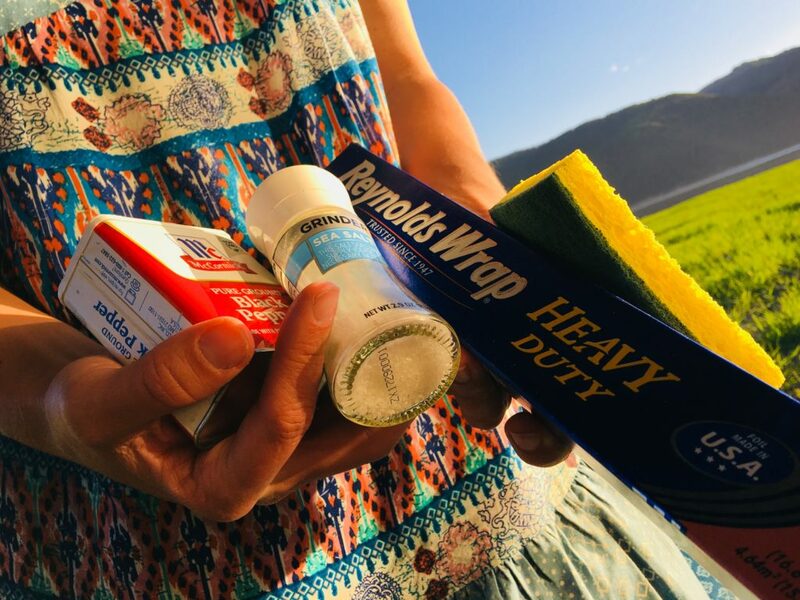 And the RV camping essentials you take with you ensure you’re able to adventure in comfort. After four and a half years of fulltime RV travel, here are the items I never leave behind. At the gift shop of any national park in the nation, you’ll find the blue National Park Passport with a dated stamp to record your visit. This is a fun way to look back on your adventures to the many sites in our national park system, including monuments, battlefields, and parkways. The passport comes with a fold-out map of the national park system, as well as a detailed index of the sites in every region. Feel thirsty? You should’ve been drinking water a long time ago. No matter how you explore, make hydration easy with a CamelBak or water belt. Especially on a long hike or bike ride, you’ll need your hands free. This may seem like an obvious one, but you wouldn’t believe the number of people I’ve seen on multi-mile trails in the heat of the afternoon, with absolutely no water on hand. When you visit national parks and other places of natural beauty, I encourage you to be more than a spectator. One of the easiest ways to experience the land first-hand is by hiking its trails. For anything beyond level, graded ground, quality hiking boots are a worthwhile investment. They’ll protect you from sharp objects and the unexpected wildlife encounter, support your ankles, and give you traction. Many hiking boots are even water resistant or waterproof. Pair your boots with wool socks, which will let your skin breathe and dry quickly if needed. 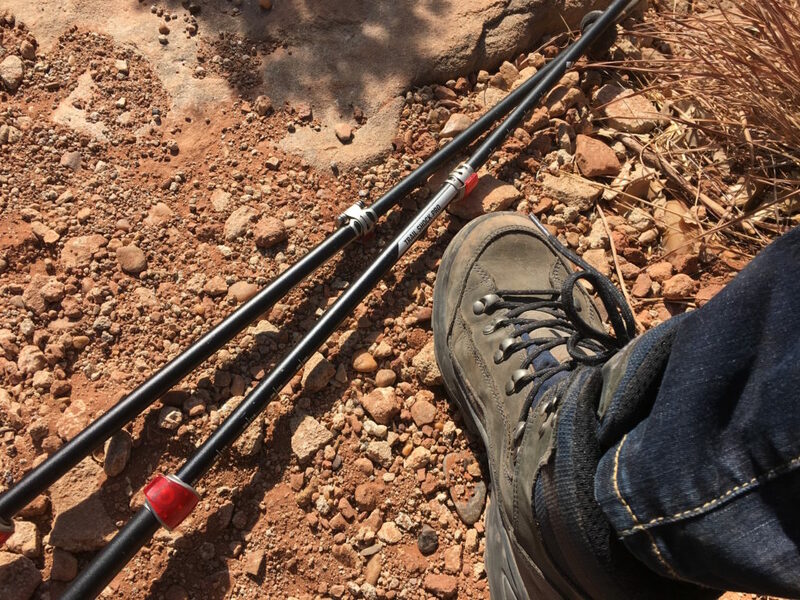 An optional hiking accessory to consider adding to your RV packing list: trekking poles. Depending on the type of trails you’ll be exploring and their difficulty, poles may only get in the way. But if you’re going up or down grades, especially if you have knee or leg pain, trekking poles can be a lifesaver. 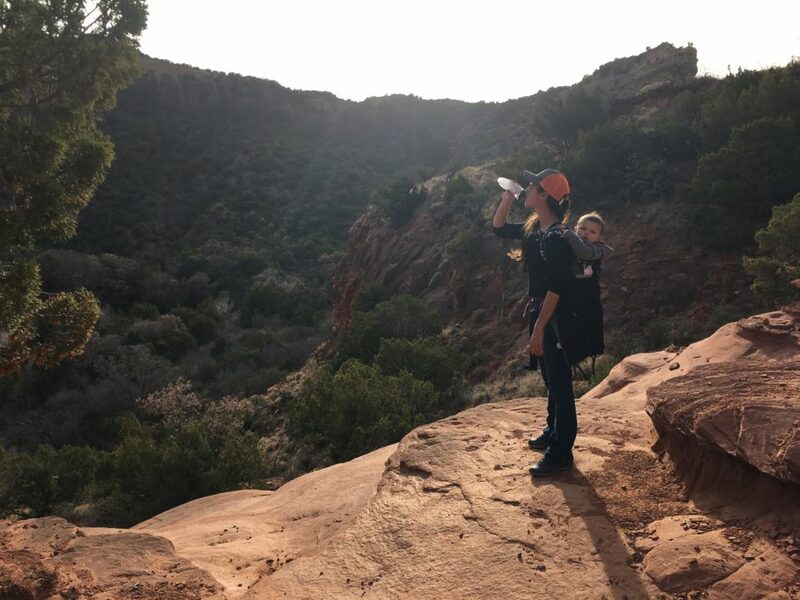 I often hike with my 30-pound one-year-old on my back in a carrier. So even though I don’t have knee issues and can navigate slopes without problems, I’ve started using trekking poles for stability and safety. National park food is always expensive, rarely the best, and sometimes nonexistent. For that reason, you’ll want to pack a picnic lunch for your national park adventures. Besides your food items, I suggest you have a mini cooler, ice packs, and sandwich bags. Picnic blankets come in handy, too, since picnic tables are strangely hard to find when you’re looking for them. Don’t forget to pack the napkins and bug spray! 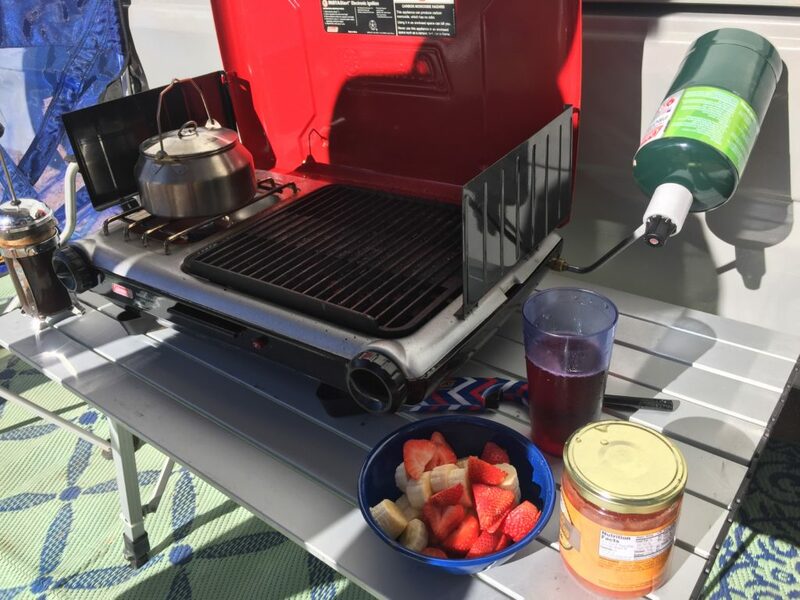 One of the advantages of RV travel is that you can cook at home and avoid restaurant spending in price-gauging tourist locations. But there’s nothing worse than getting half-way through meal preparation, only to realize you forgot the most obvious thing you take for granted at home. 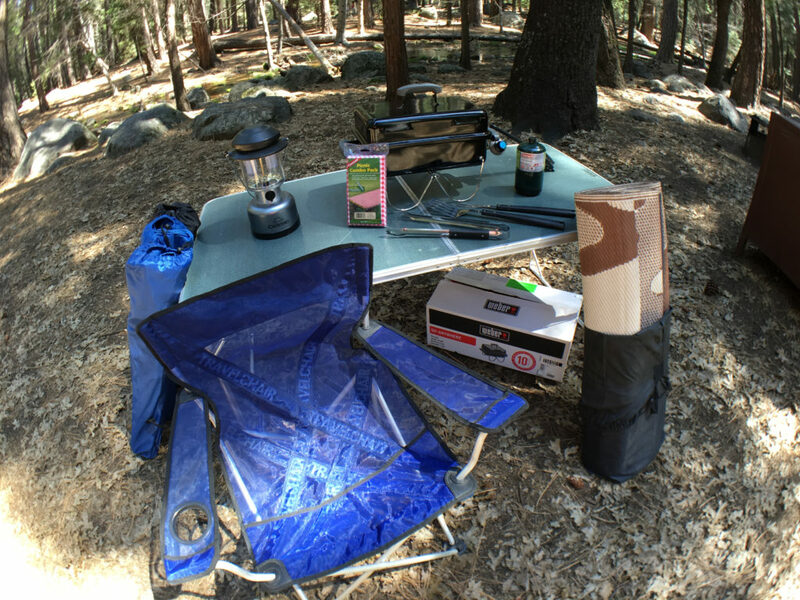 Some of our favorite RV meals were made outside with our portable grill. We’ve grilled steaks, burgers, bratwursts, shrimp skewers, baby potatoes, asparagus, and corn on the cob. Even peach cobbler wrapped in aluminum foil! Is your mouth watering yet? We love cooking and eating outside because it gives us extra room to spread out and enjoy each other’s company. Oftentimes, we’re looking at a lake, listening to bird songs, or watching the sun go down. One of the things I love most about tiny living is that it encourages you to get outside. Having a portable grill has brought us a lot of satisfaction outdoors. There are a few other RV camping essentials that will make you love outdoor living. Patio chairs are at the top of this list. We love anti-gravity chairs, which have a tall back to support your head and a full footrest. No matter what kind of chair you pick, light a campfire and watch the stars with a glass of wine in your hand! 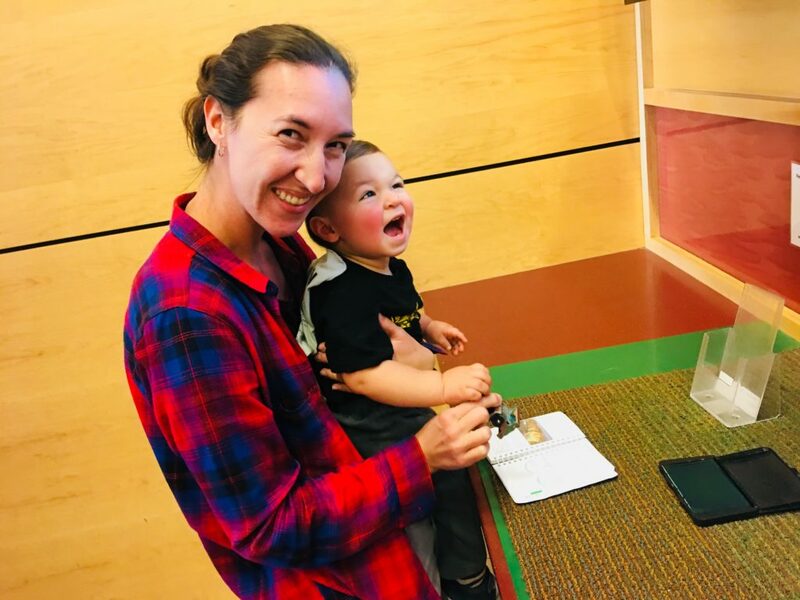 Other patio items to put on your RV camping list include an outdoor patio rug to keep the dirt down (also great if you have little ones) and a hammock. Depending on space, you may even want to pack a light-weight, foldable table. Not all campgrounds have picnic tables. 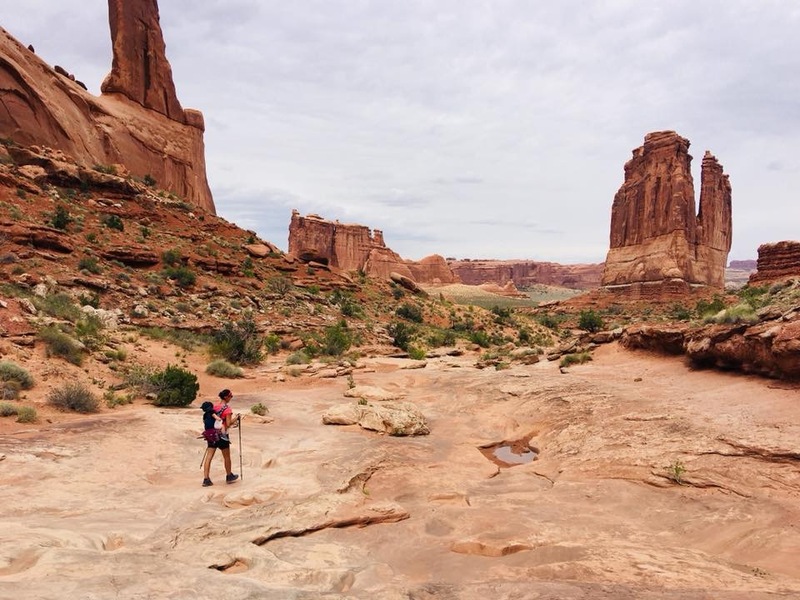 I’ve talked a lot about camping near national parks, but have you thought about how you want to explore the urban area you’re visiting? 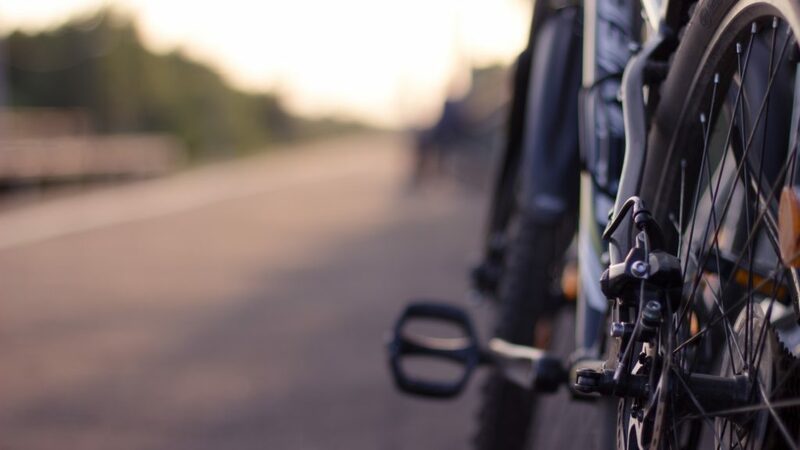 If you’re renting an RV and leaving your passenger vehicle at home, then a bicycles can help you get around the city. Just make sure you have a safe way to transport them during your trip. 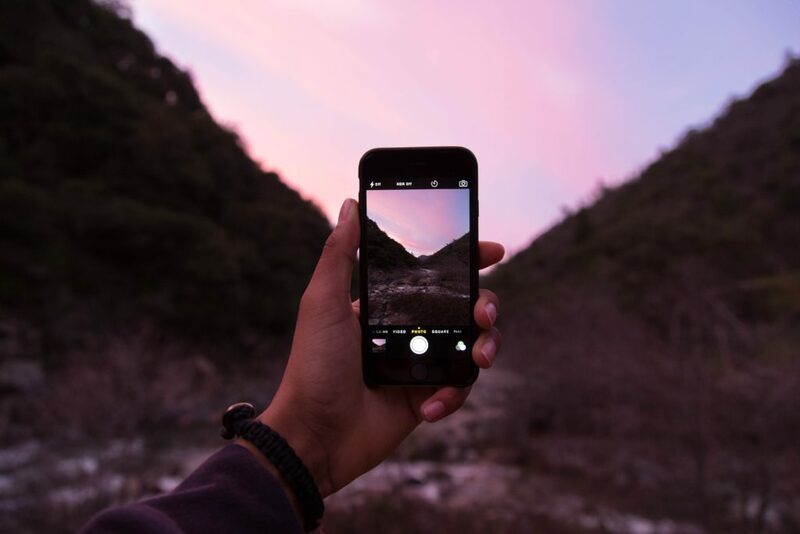 Of course you’ll have your mobile phone with you, but prepare in advance by downloading essential road trip apps. Most importantly, be prepared to lose Internet access in remote areas. Don’t wait until you’re in Grand Canyon National Park to start researching what to see and do. Do your Google searching the night before and put your itinerary in a note on your phone. That way you won’t experience that moment of panic when the “No Service” message pops up. Not that I have any experience with that. Adventure KT offers a host of items for rent as a convenience to customers. 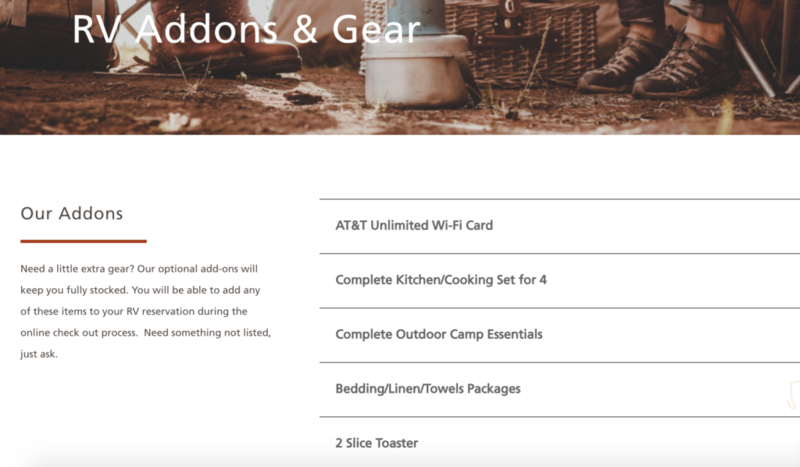 Browse gear add-ons, which include many of the RV camping essentials mentioned here, as well as others like linens, satellite dish, and even a solar panel kit.